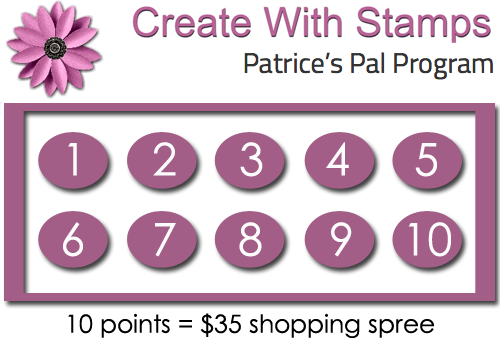 Patrice’s Pal Rewards Program is a loyalty rewards program where you get extra benefits, you can even get free product. When you have earned 10 points you get to go on a $35 shopping spree (excludes hostess products). It’s just my way of saying “thank you” to my returning customers! Place on-line, class, phone or email orders thru me to earn Pal Points. Does not include stamp club orders, Party orders or gift vouchers. 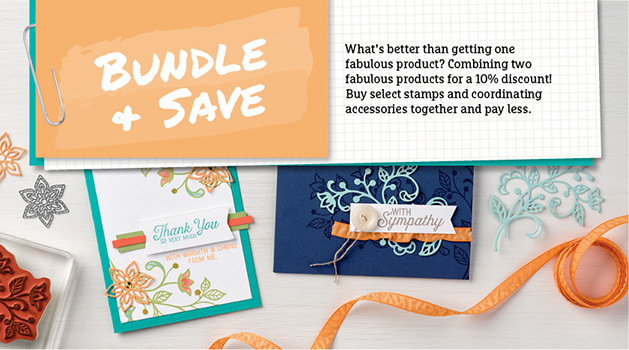 Earn one point for every $50 you spend (before shipping) on each individual order. Example a product order of $49 will not qualify for a Pal Point. A product order of $101 would qualify for two Pal Points. You MUST enter the Hostess Code when placing an on-line order under $300 but orders over $300 need to be placed under your name so you receive the hostess benefits (Hostess Code will be updated on my website once to twice a month). You will still earn Pal Points for product orders over $300 as well as receiving hostess benefits. Previous orders can’t be combined with latest order to earn a Pal Point, you earn points per order. Product total for earning points excludes shipping fee. One person per tracking form, you can’t include friends or family orders on your form. You are responsible for tracking your Pal Points. Pal Points expire after one year. When you have earned 10 Pal Points, email or give the completed tracking form to me. Make sure you have filled in all the required information: – TRACKING FORM – What free products you would like – Name, address (including postal code) and phone number. I will order your free product when I have confirmed your Pal Points and send them to you free of charge if postage is under $5 otherwise charges may apply. (please allow 2 to 4 weeks for delivery). Extra Perks for being a Patrice’s Pal Member (if you have placed an order within the last 6 months). You must tick the yes box when placing your order that will allow me to contact you otherwise I will not have access to your information. Receive free Annual Catalogues (if you have placed an order within 3 month prior to catalogue going live. Email me if you have any questions, I will reply as promptly as possible.